Frank And Oak earned a middling score during the inaugural Retail Personalization Index, but a continued commitment to personalized experiences helped the brand shoot from 37th place to the top 12. Case in point: Style Plan, a subscription service that brings personalized product recommendations offline and right to customers’ front doors. The Canadian retailer has also significantly improved its website, which comes complete with curated content, smart recommendations and a preferences manager allowing shoppers to further refine those recommendations. Launching online in 2012, Frank And Oak has since expanded to the physical world. 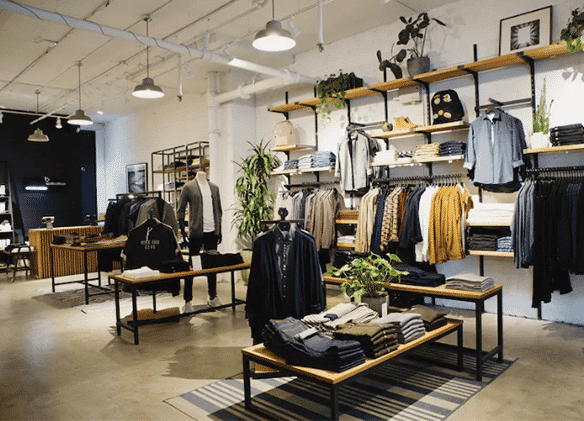 Frank And Oak boasts 22 brick-and-mortar locations throughout Canada. The brand uses a wildly smart and simple personalization technique for its stores: When a loyal customer (with the app) gets close to a store, a beacon inside alerts the staff of his presence, giving the store manager enough time to brew him a fresh cup of coffee. 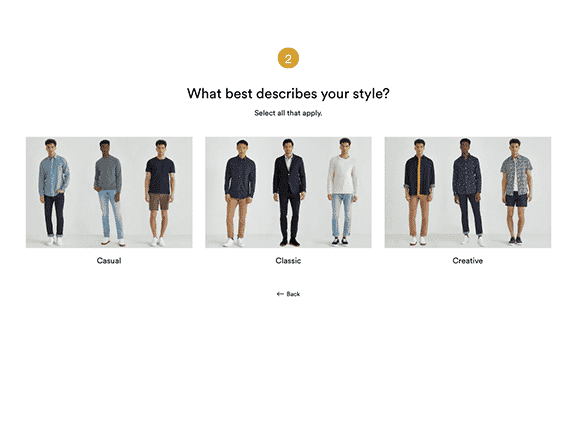 Described by CNN as “having a personal stylist for a fraction of the cost,” Frank And Oak’s Style Plan is a monthly subscription service personalized around each individual customer’s tastes. You simply tell the brand your favorite styles, colors, fit and budget, and voila, a custom-curated collection shows up on your doorstep. We love that the brand goes the extra mile with personalization for these members, including use of personalization in direct mail for program acquisition and the use of first-name in email personalization. 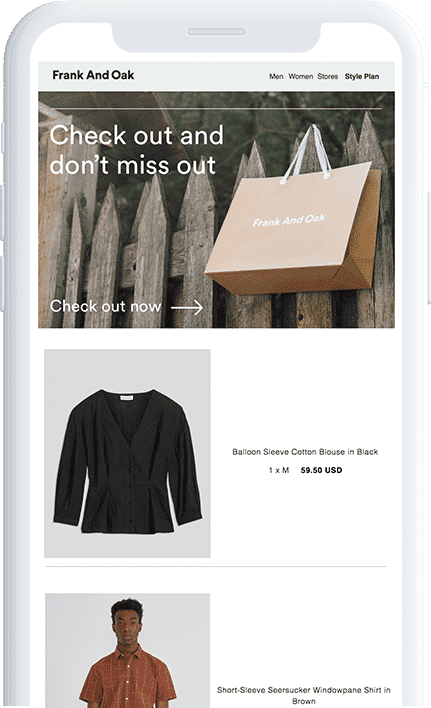 Frank And Oak’s app boasts a number of features, including an integrated shopping cart, in-app messaging with style agents, and thoughtful push notifications. We’re most impressed by the retailer’s use of beacon technology. When a VIP customer approaches the store, it alerts the store manager, who makes sure to roll out the red carpet. Abandoned cart messages are crucial for any retailer and unfortunately, many of them phone it in. But not Frank And Oak, which has a whole email stream for cart abandoners, which stress how quickly styles sell out to drive urgency and eventually include a discount. Additionally, the retailer retargets customers based on the items in their carts for a multichannel approach to revenue recapture.